This book is based on a lecture course to students specializing in the safety of technological processes and production. 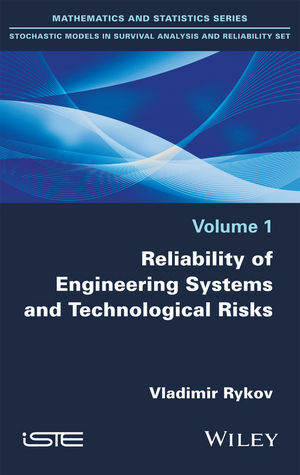 The author focuses on three main problems in technological risks and safety: elements of reliability theory, the basic notions, models and methods of general risk theory and some aspects of insurance in the context of risk management. Although the material in this book is aimed at those working towards a bachelor's degree in engineering, it may also be of interest to postgraduate students and specialists dealing with problems related to reliability and risks. Vladimir Rykov is Professor in the Applied Mathematics and Computer Modeling Department of the Gubkin Russian State Oil and Gas University in Moscow. His main interests include controllable queueing systems and reliability theory. problems related to reliability and risks.